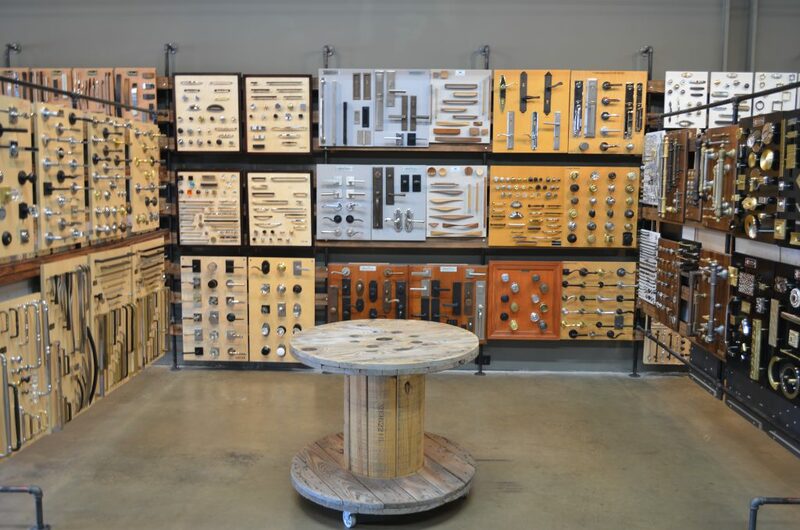 Push Pull Decorative Hardware is a family owned and operated business which opened its doors in October 2015. The owners include Elizabeth and Jonathan Pilley (along with daughters Zoey and Beatrix) and Michael Corrado (along with spouse Anne-Marie and newborn Benjamin). Each of the three founders brings their own unique insights to the business and a desire to offer the best advice and recommendations for applying the finishing details to a project. There is certainly an abundance of decisions to be made when it comes to a construction project. Whether it’s a renovation, addition, new build or just a new front door, we have plenty of options for the finishing touches. 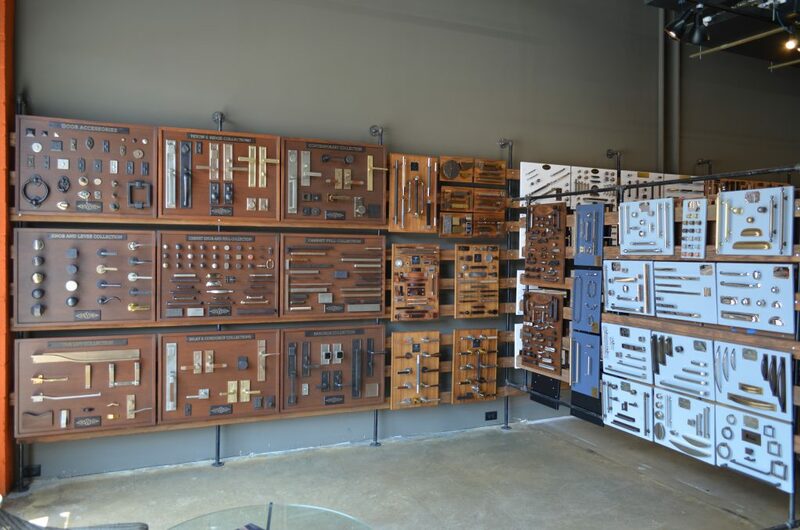 Our show room curates a collection of upwards of seventy different vendors who offer decorative hardware suitable for both residential and commercial projects. 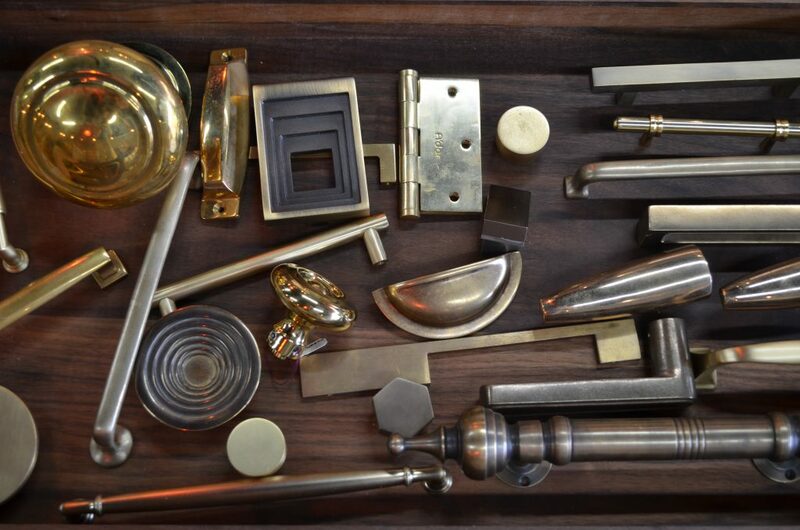 We have vendors who specialize in more traditional brass hardware to more rugged bronze hardware to even some hardware that boasts leather, wood, glass or rock crystals (!) even. In addition to door and cabinet hardware, there is also plenty of other components available, including things such as hinges, door stops, vent registers and house numbers for instance. Nebel Street is definitely more of an industrial area and our show room reflects that, fostering a chic vibe that we feel encourages the design process. Despite the industrial atmosphere, we’re also surrounded by other design-focused business in the Pike District area. Nearby to us are quite a few kitchen, countertop, tile and plumbing show rooms, all of which make it relatively easy to handle multiple facets of a project in one quick trip to the area. We like the thought of a centralized area where clients can come through for different aspects of a project and begin to see the more complete picture of what their project will ultimately look like. And it also helps clients that we’re located in the shadow of Pike and Rose, easily accessible by transit or car. The idea behind Push Pull Decorative Hardware is to make some of the more tedious parts of the finish selection process less daunting—dare we say fun. Some people like to think of the hardware as the jewelry for the home; we like to think it’s that and more. There are so many wicked cool options for a project that we just want people to know about them and appreciate the end result of all the work put in that much more. 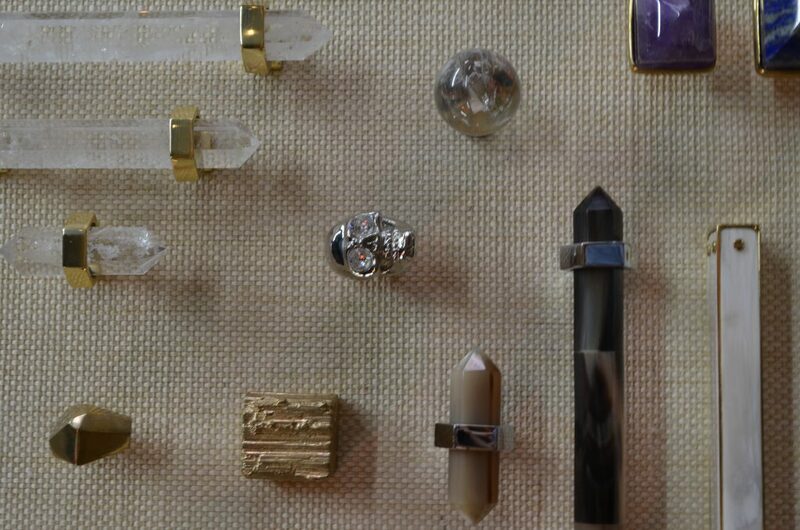 At Push Pull Decorative Hardware we dwell on the details so you can dwell in the details. This entry was posted in Local Businesses and tagged Push Pull Decorative Hardware. Bookmark the permalink.